A beautifully simple HTML5 & CSS3 mobile ready theme for ANY type of site! Minn includes FULL support, direct from the theme authors! Minn is a beautifully simple HTML5 & CSS3 mobile ready theme for ANY type of site! It allows you to customize your site with ease! 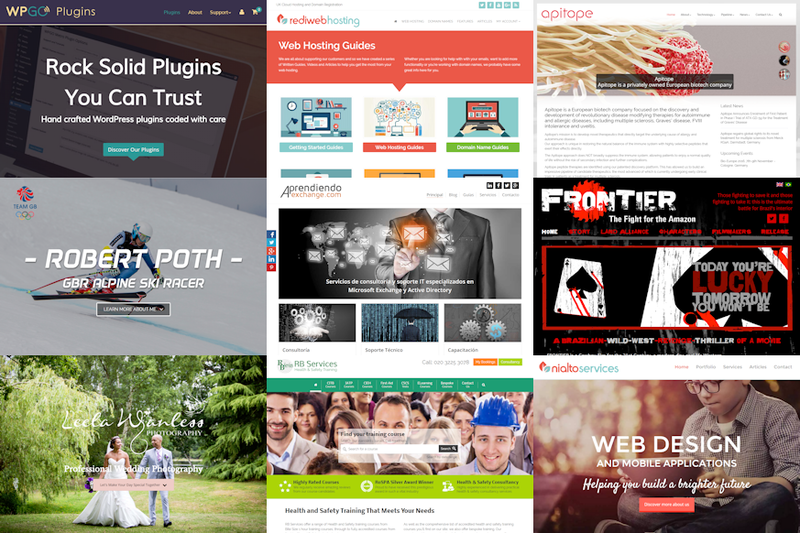 It’s also FULLY compatible with all leading membership, and e-commerce plugins to help build robust sites. Do you want a website that’s rock solid, secure, looks fantastic on all devices, and is easy to customize and maintain? If so then Minn is definitely for you! 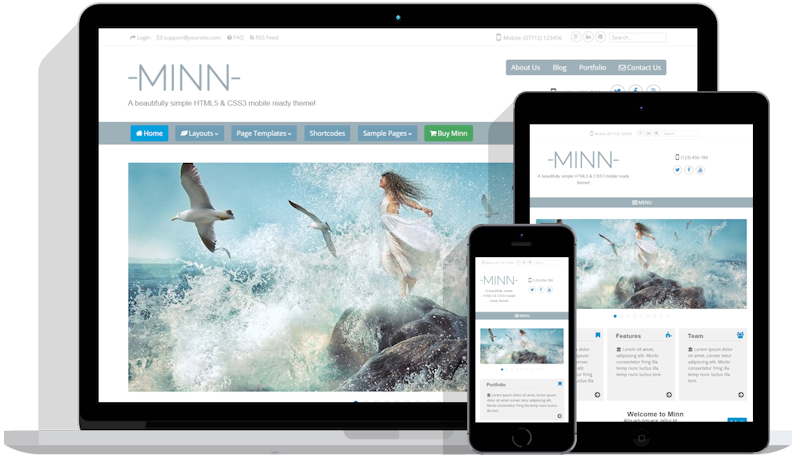 See just how good your next website could look by taking the fully responsive Minn live demo for a spin. Try viewing it on different browsers/devices (iPhone, iPad, Kindle HD etc.) to see how consistently it displays on all platforms! Minn is already being used on many live websites, some of which have been added to our customer showcase page. 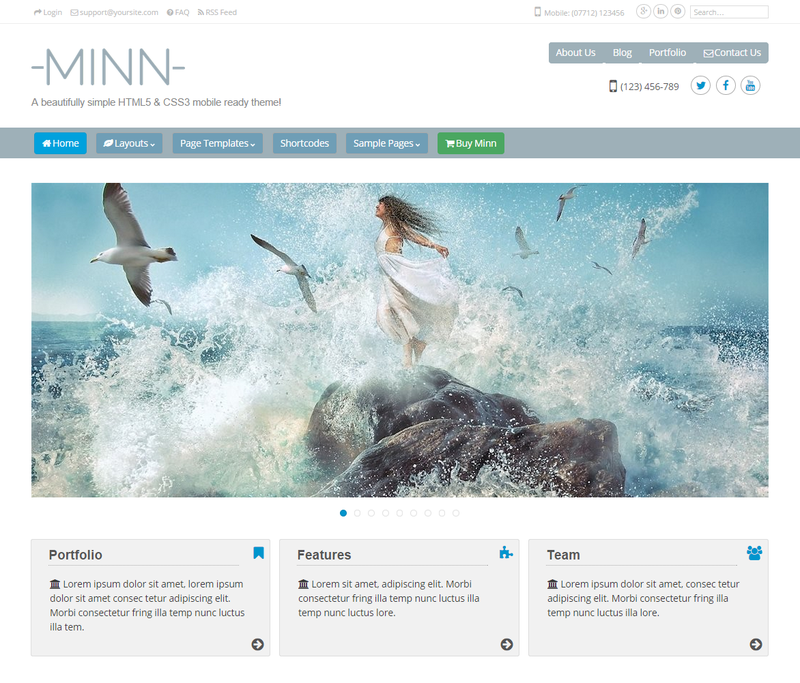 Each featured site started with the default Minn theme and was then customized into a completely unique design! Minn gives YOU the power and flexibility to shape your site into anything you want! Take a look at the comprehensive list of features included in Minn below. 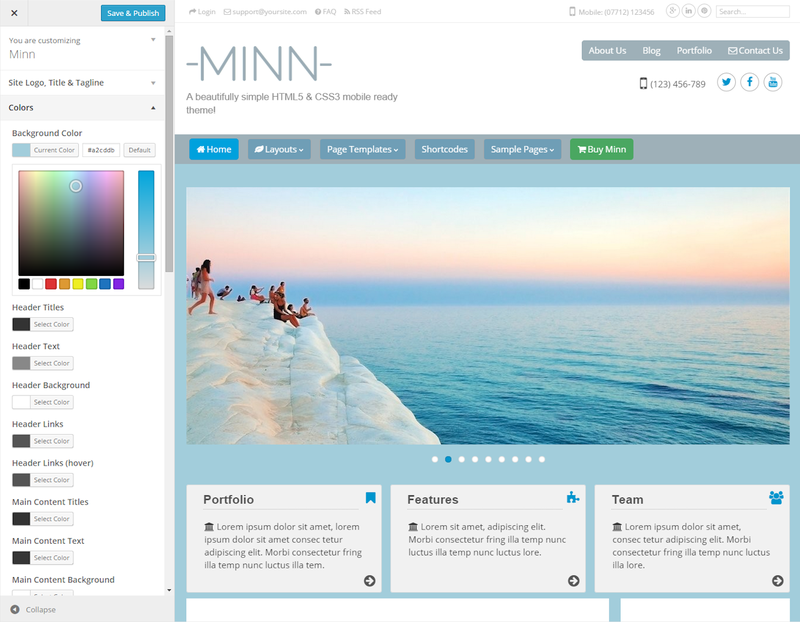 Let the live theme customizer inspire your creativity by making instant changes to your site visually and in real-time! Alter anything from the background color, or main font color, to uploading your own logo image. You can also change the site font to any Google Web Font. And there are hundreds to choose from. Other live customizer options include changing the global column layout, background image, set navigation menus, assign the front page, and editing footer links. 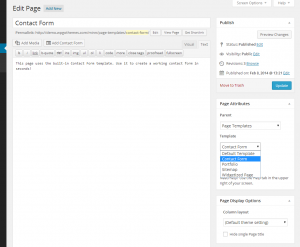 Page templates help you build your site more quickly with minimal effort. Minn includes the page templates listed below. Click on any link for a live demo of each template. Widgets are fantastic little blocks of content that you can add to sidebars, the footer and the header, and even inside standard pages (if using the Widgetized page template). They are very versatile and provide lot’s of useful functionality. 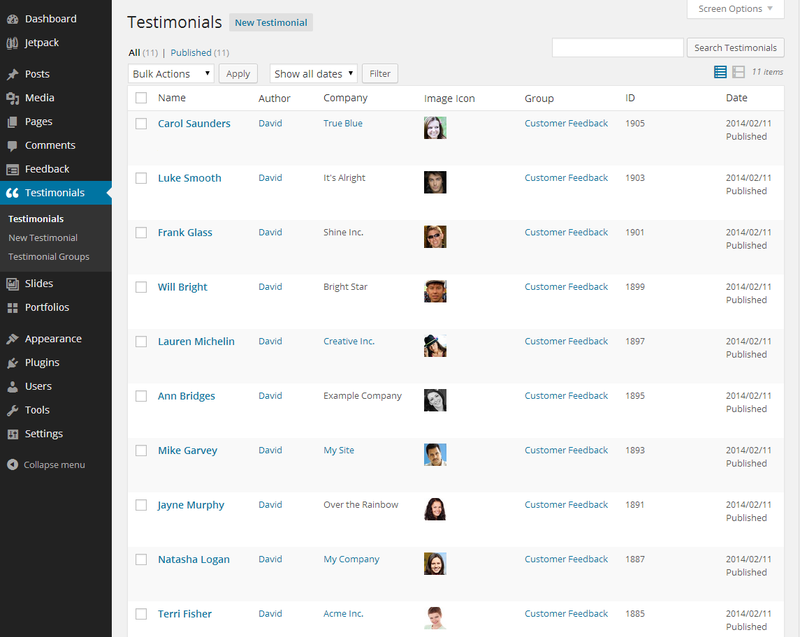 Minn includes the Content Slider, Testimonials, WPGo Connect, and Opt-in widgets. 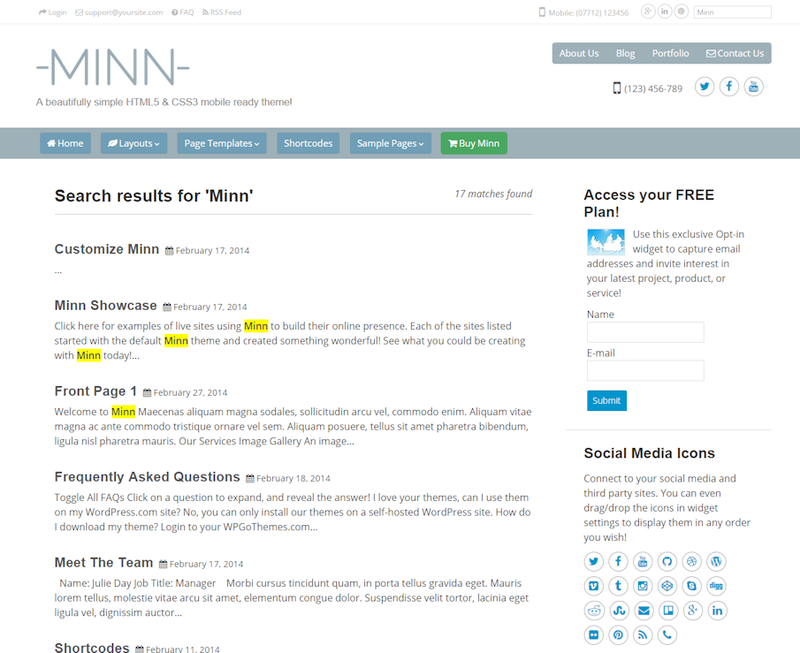 Minn displays search results similar to Google in a formatted list of matched pages. The term searched for and the number of returned results are clearly shown at the top of the page. If there are too many matched search terms then results are paginated for user convenience. Shortcodes allow you to easily insert blocks of content into your web pages by entering a simple code into any post, page, or text widget. 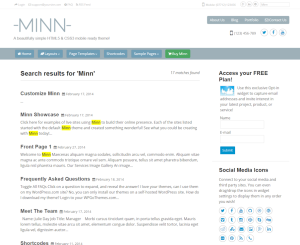 Minn includes the Box, Button, Testimonial, Year, Week-Dates, Site-URL, and Login or Logout shortcodes. As well as the blog, and page post types that come as standard in WordPress, Minn also includes three extra post types: Testimonials, Slides, and Portfolios. 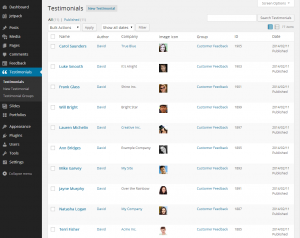 These enable you to quickly build powerful portfolio galleries, content sliders, and customer testimonials with a robust dedicated admin user interface. 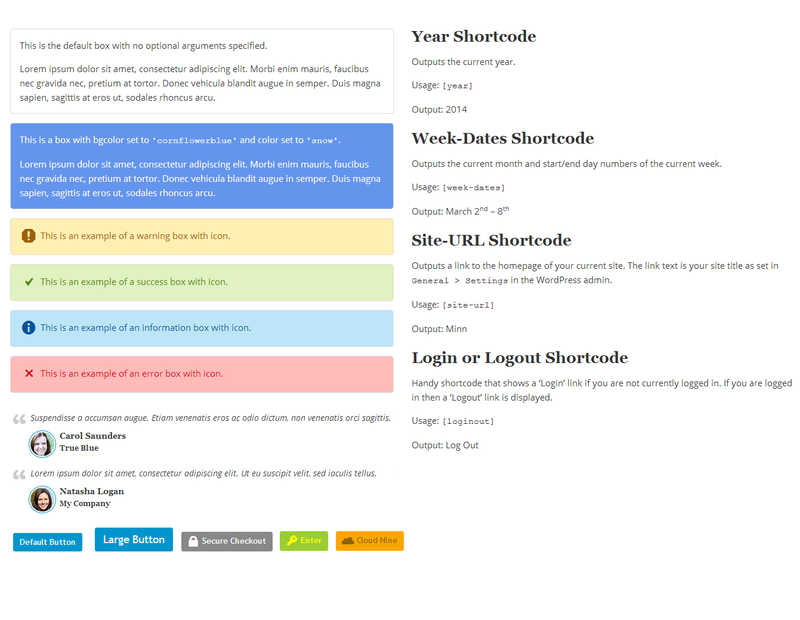 If you need to make significant style changes to your site then we’ve got you covered. 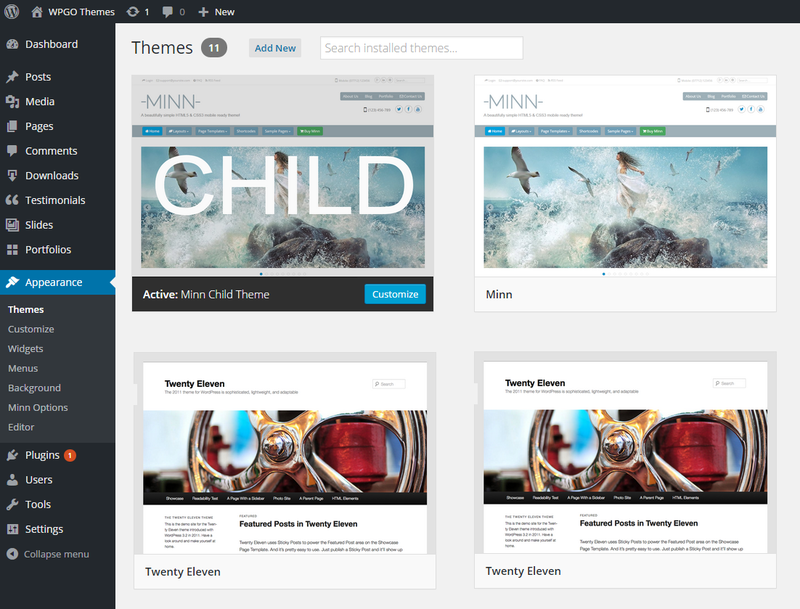 You not only get immediate access to Minn but also a fully functional sample child theme. WordPress recommends style changes are made via a child theme, so we included one for FREE to get you started as quickly as possible! Once installed you can make style customizations safe in the knowledge that your changes will NOT be affected during theme updates. There’s just so much to discover about Minn. To fully understand how revolutionary this theme is you simply have to try it out for yourself! To view the Minn live demo click here. Be sure to check out all the sample pages on various devices such as iPad, iPhone, Kindle HD, PC, and Mac. If you have any questions at all please don’t hesitate to contact us. We’ll get right back to you! Make your life easier and start using Minn today! Take the hassle out of setting up your online presence. Minn includes FREE premium support and theme updates for 1 year after purchase.